DP-9900Plus Digital Ultrasonic Diagnostic Imaging System is a gem that combines Mindray's creative all digital ultrasound imaging technology and the most ergonomic engineering design. With outstanding imaging quality and complete information solution, DP-9900Plus brings customers the most human and ergonomic value experience. Benefiting from revolutionary all-digital ultrasound imaging technology and the latest advancement in electronic engineering, DP-9900Plus features outstanding imaging quality and rich functionalities, which fully meet various clinical requirements. A source of confidence in your diagnosis, DP-9900Plus is thus rated as a classic model of black and white ultrasound systems. 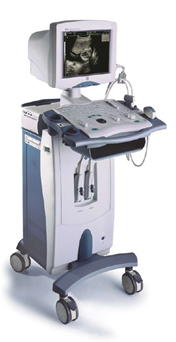 To learn more about our diagnostic ultrasound machine clink on the link below.